Shari is using Smore newsletters to spread the word online. Here's what's current with the CES PTO. Be sure to follow us on Facebook, too. Click here to join the group and stay up-to-date on everything happening at Cottonwood. 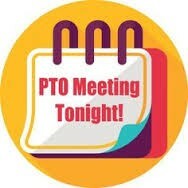 Make plans to join us tonight, May 16, from 6 to 7 p.m. in the CES library for the last PTO meeting of the 2015-2016 school year. Officers were nominated by the group on April 18th. Our current by-laws state that there should be an election, however, everyone is running unopposed, so unless we hear differently by today, the slate of officers will be approved by those in attendance at tonight's PTO meeting. CES students in grades 2-5 that met their AR goal for 4th quarter will celebrate with a party tomorrow, May 17th. As a preview for next year, first grade students are invited to this party as well. The fun will continue on Wednesday, May 18th, when students who met their AR goals ALL four quarters have a party at the 13th Street Park. To make this possible, we need volunteers to help with both events! Click here to see the schedule and sign up for a time slot. Thank you, your help is greatly appreciated!! The Cottonwood PTO is now part of the Amazon Associates LLC program. If you are an Amazon shopper, log in to your personal Amazon account through this website and earn money for CES! Click here to start shopping and saving.